Contact centers cite agent turnover as their top challenge. This turnover—paired with high absenteeism and poor job satisfaction—significantly impacts financial performance. 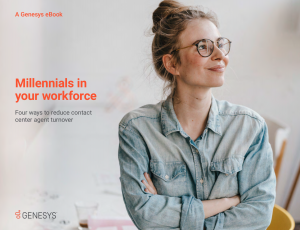 Plus, many agents today are millennials who have unique wants and needs as employees. Learn what matters most to millennial agents so you can build a more satisfying workplace that’s also cost-effective.